In this article, we’ll talk about an unusual roulette that you can come across in the casinos of California. Winning numbers are determined by using other methods, rather than the traditional one. California roulette comes in several variations. In 2004, the state’s authorities passed the law that prohibited to determine the outcome of casino games by using a ball or dice. Perhaps, they hoped to get rid of roulette and craps that are hard to imagine without a ball or dice. However, the Americans learnt how to bypass their absurd laws long time ago. 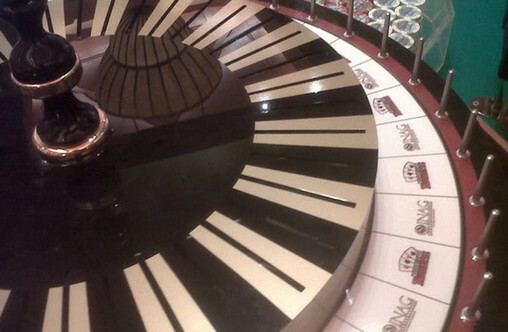 Casino owners found the way to save both roulette and craps. In this article, we’ll talk about the roulette alone. According to the legislation of state California, the outcome in gambling games must be determined with the help of cards. You say that it’s impossible to combine roulette and cards in one game. It can be done, though. No ball needed. There are two variations of California roulette. In one variation, the dealer spins the reel with thirty-eights cards (1 through 36 and double zero). The arrows points to the winning card. The other variation is played in the north regions of the state. The drum is divided into red and black sectors without numbers. While the drum is spinning, the dealer takes from the shoe two numbered cards and places them to red and black sectors on the table. Cards are shuffled with a shuffle machine. After the winning color has been determined, the dealer turns over the respective card and payouts are made. Some casinos offer other variations of California roulettes with slightly different rules. They are less popular than the two variations above. Now you can see what casinos can invent in order to save their clients’ favorite games without breaking the legislation. Ingenuity of Californian casinos deserves true admiration.